Semiconductor equipment that test and screen out early failures during the “infant mortality” stage are put on a board known as “Burn-in Board”. On a burn-in board, there are multiple sockets to place the semiconductor device (ie. laser diode or photodiode). The number of devices which are placed on a board can consist of low batches of 64 to over 1000 devices at the same time. These burn-in boards are then inserted into the burn-in oven which can be controlled by an ATE (Automatic Test Equipment) that supplies the mandatory voltages towards the samples while maintaining the desired oven temperature. The electrical bias applied may either be static or dynamic. Usually the semiconductor components (ie. Laser Diodes) are pushed beyond what they will have to go through in normal use. 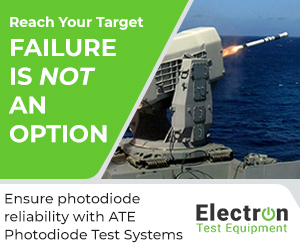 This ensures that the manufacturer can be confident that they have a robust laser diode or photo diode device and that the component can meet reliability and qualification standards. IS410 is a high-performance FR-4 epoxy laminate and prepreg system designed to support the printed circuit board industry’s requirements for higher levels of reliability and the trend to use lead free solder. 370HR laminates and prepregs are made using a patented high performance 180°C Tg FR-4 multifunctional epoxy resin system that is designed for multilayer Printed Wiring Board (PWB) applications where maximum thermal performance and reliability are required. BT epoxy is widely chosen for its outstanding thermal, mechanical, and electrical properties. This laminate is suitable for lead-free PCB assembly. It is primarily used for multilayer board applications. It features excellent electro migration, insulation resistance, and high thermal resistance. It also maintains bond strength at high temperature. Nelco® N4000-13 series is an enhanced epoxy resin system engineered to provide both outstanding thermal and high signal speed / low signal loss properties. N4000-13 SI® is excellent for applications that require optimum signal integrity and precise impedance control, while maintaining high reliability through CAF 2 and thermal resistance. During the burn-in process extreme temperatures often ranging from 125°C – 250°C or even 300°C are applied so the materials used need to be extremely durable. IS410 is used for burn-in board applications up to 155°C and typically a polyimide for applications up to 250°C. 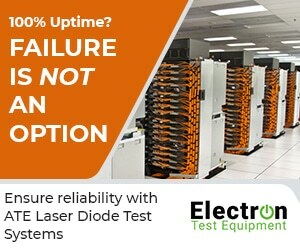 One of the most important considerations is selecting the highest possible reliability and quality for the Burn in Board and the test socket. You don’t want your Burn in board or socket to fail before the device under test. Therefore, all active/passive components and connectors should comply with high-temperature requirements, and all materials and components should meet high-temperature and aging requirements.